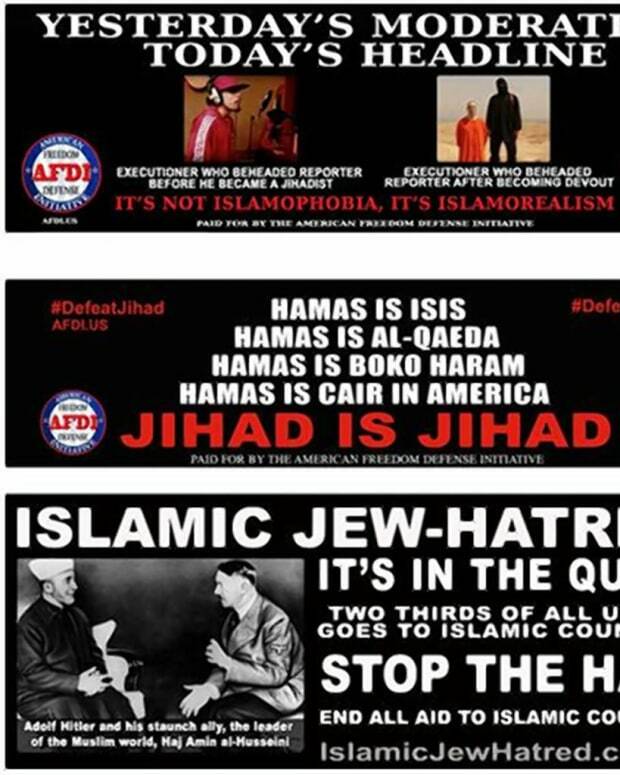 &apos;Birther&apos; Pamela Geller recently paid to have anti-Islam posters hung inside subway stations in New York City, as reported by Opposing Views. 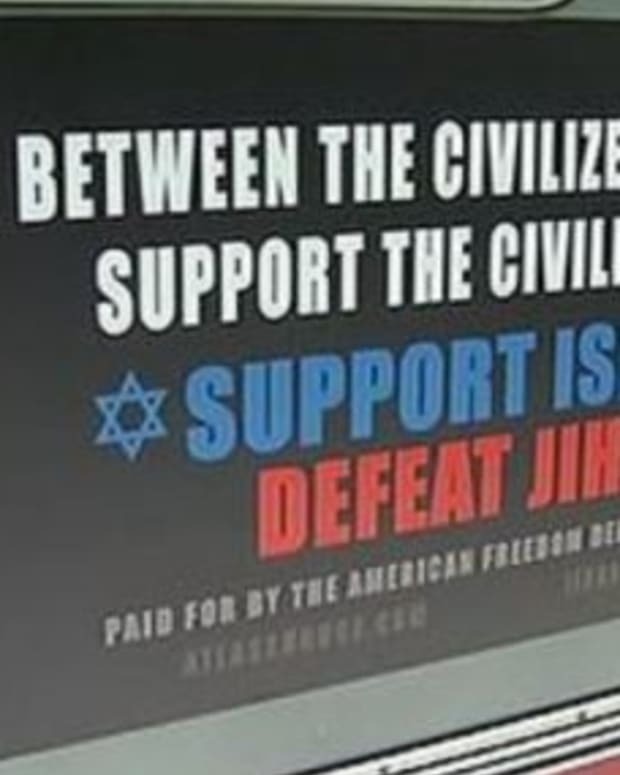 The city originally rejected the posters from Geller&apos;s American Freedom Defense Initiative, but a judge ruled they were protected free speech under the First Amendment. 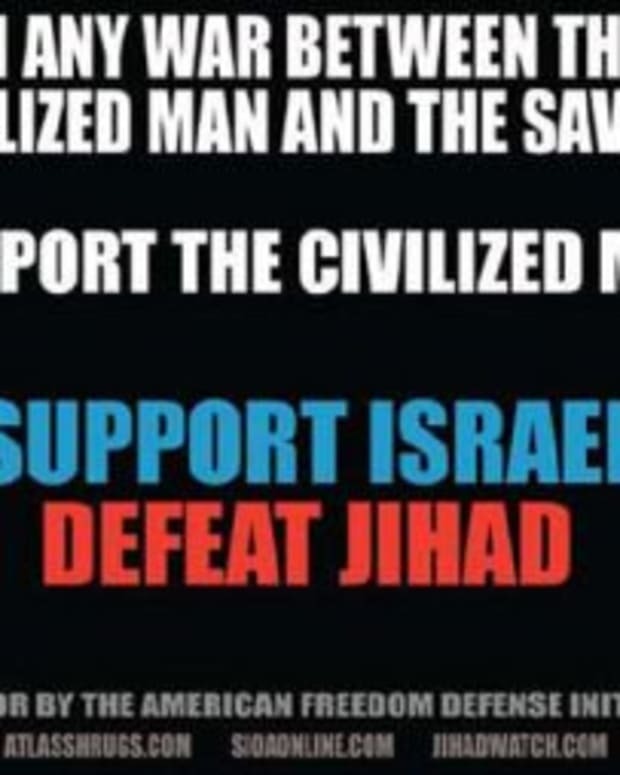 The ad suggests that Muslims are "savages" and reads: "In any war between the civilized man and the savage, support the civilized man. Support Israel. Defeat Jihad." 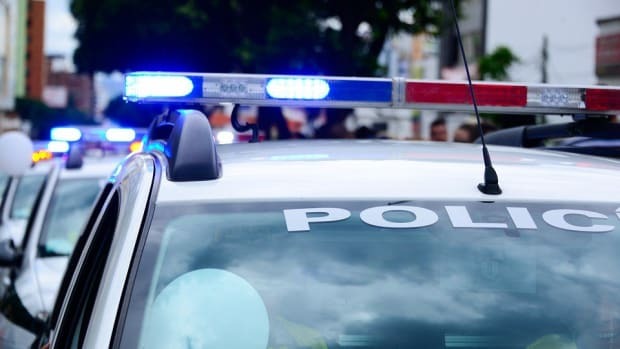 However, now persons unknown are plastering stickers with the words “RACIST” and “HATE SPEECH” on top of Geller&apos;s anti-Islam posters. The American Freedom Defense Initiative is trying to run a similar campaign in the Washington D.C. and already has ads up in San Francisco. Video: 'Birther' Pamela Geller Defends Ads Comparing Muslims to "Savages"